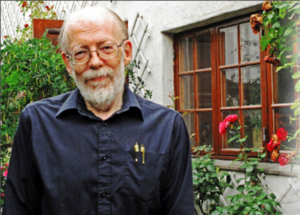 It is with great sadness that Norwegian PEN announces that writer, critic and translator Kjell Olaf Jensen, Norwegian PEN President from 1997 until 2007, passed away peacefully on Sunday after long illness. Our thoughts and condolences go to his wife Berit in this difficult time. Kjell Olaf was an active and much loved president of Norwegian PEN, leading the organization during an important period when it established a small administration at the Human Rights House in Oslo. His mild manner, his many humorous comments, his keen sense of justice and his enormous memory – remembering names of writers and colleagues all over the world and pronouncing their names 100% correct, regardless of their origin, gave him numerous international friends. Kjell Olaf Jensen held a master in comparative literature from the University of Oslo. He chaired the Norwegian Literary Critics Union (1985-1990) and was also vice-president in their international organization, Association Internationale des Critiques Littéraires (1989-93). During two periods in the eighties and nineties he was a board member of Amnesty International Norway. Kjell Olaf was also in the forefront regarding the establishment of new, Norwegian Cities of Refuge for persecuted Writers. The first Norwegian city was established in 1995 and during Kjell Olaf´s PEN-leadership he took part in lobbying with the result that a number of new cities were established. In April 2010 it was announced by the King of Norway that Kjell Olaf Jensen had been awarded the St. Olav´s Order, first class, for his contributions to the free word. After stepping down as president in 2007, Kjell Olaf held a permanent position in the board as advisor. He will be greatly missed.